This is a non-progression task. 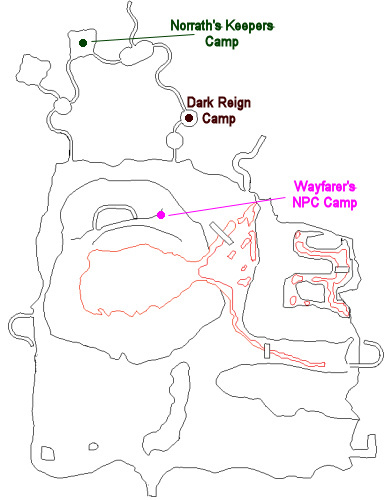 It is a group mission (3-6 players) that begins with Talontar (click for map image) in the Dark Reign camp of the Lavastorm Mountains. Hail him to get a quest window pop-up. You have been assigned the task 'The Drake Menace'. The drakes of Lavaspinner's Lair have become bold as of late. Go into their lair and prove to them that we are not to be messed with. Note: This group mission scales to your group's level. The highest is 68+, outlined here. This will be marked on your compass (far southern instance entrance). NOTE: There is a drake roamer that can path right up to the instanced entrance. The ground shakes slightly, and a loud crack and thud can be heard echoing through the tunnels. As you destroy the egg, you can hear screeches behind you with the flapping of wings nearby. As the final egg shatters you can feel a gust of wind hit you as the Drake Matriarch assaults you. It hits for a max ~1,300; has ~85,000 hitpoints; casts wizard spells; and can summon a weak pet. Upon its death, the task completes. This task appears once you hit Indifferent.